All professionals at Valley Pediatrics PC maintain the highest levels of accreditation and pursue ongoing education to stay abreast of the latest trends in the medical field. Read on to learn more about our staff's experience and training. Ronald N. Endo, M.D., F.A.A.P. 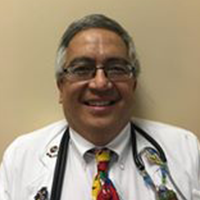 Dr. Ronald Endo has been practicing medicine for over 28 years. Board certified in pediatrics, Dr. Endo did his pediatric residency at St. Christopher's Hospital for Children after studying at Temple University School of Medicine and Harvard University. Dr. Endo is married with two children and lives in Bucks County. He is passionate about what he does and looks forward to serving his patients each and every day at Valley Pediatrics! 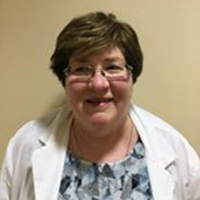 Dr. Nancy Buckley has been with Valley Pediatrics for over 28 years. She attended Hahnemann University School of Medicine and completed her residency at Hahnemann and St. Christopher's. Married with four children, Dr. Buckley has a special interest in newborn care and breastfeeding issues. Joseph H. Werner, M.D., F.A.A.P. 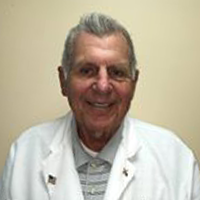 Joseph H. Werner, MD, FAAP has been in General Pediatrics since 1970. Dr. Werner has spent the last 25 years specializing in the treatment of ADD (Attention-deficit disorder), ADHD (Attention-deficit/hyperactivity disorder. He graduated from St. Joseph's University & Hahnemann Medical School. He did his pediatric residency at Philadelphia General Hospital. Dr. Werner served in the USAF for 2 years. He and his wife have been married for over 52 years. They have 4 children and 10 grandchildren. William J. Dennis, M.D., F.A.A.P. 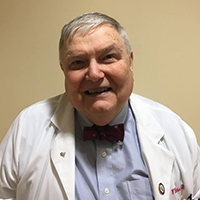 Dr. William Dennis has been a pediatrician for 40 years. He graduated from Jefferson Medical School. Dr. Dennis did his residency at St. Christopher's Hospital for Children, 1970-1971. He served in the U.S. Navy as a Lieutenant Commander, 1971-1973. Dr. Dennis did a residency in pediatric neurology, 1973-1974. He had a private, solo practice for 33 years, before joining Valley Pediatrics in 2010. Dr. Dennis is an associate clinical professor at CHOP; he enjoys teaching the medical students and residents. He enjoys spending time at the shore with his family. 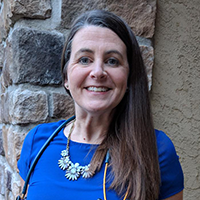 Eileen Sandifer is a certified pediatric nurse practitioner who graduated from the University of Pennsylvania in 1993 with a master of science in nursing. She has worked at Valley Pediatrics for over 14 years. Prior to graduate school, Eileen worked as a nurse after graduating from Frankford Hospital School of Nursing and Thomas Jefferson University. She has always enjoyed working with teens and had the unique opportunity to work with Covenant House California for 2-1/2 years -- setting up a health clinic for homeless adolescents and serving as a mobile health team nurse with Childrens' Hospital of Los Angeles. Eileen enjoys being a clinical preceptor with nurse practitioner students from local universities. She also is very interested in issues involving children and anxiety. Eileen and her husband live in Fort Washington and have 3 children. She enjoys playing tennis, volunteering with Meals on Wheels locally and reading. 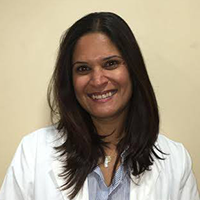 Soniya Sheth studied nursing at the University of Pennsylvania and received her Masters in Advanced Pediatric Care from Rutgers University. She joined Valley Pediatrics in 2014 as a board certified pediatric nurse practitioner. As the mother of 2 young children, Soniya brings compassion and a unique perspective when treating and relating to children. Soniya chose a career in pediatrics because of her love for children, their resilience, and their ability to find good and happiness in the simplest of acts. She has a special interest in development pediatrics, adolescent sexual health and harm reduction (adolescent medicine), and chronic conditions. Soniya lives with her family in Moorestown, New Jersey and enjoys family movie night, being outdoors, and listening to audio books on her drive into work. After earning her Bachelors degree in nursing from Holy Family (College) University, Anne worked as an inpatient pediatric nurse at Thomas Jefferson University Hospital for several years before transitioning to Children’s Hospital of Philadelphia where she worked on the inpatient oncology unit for over 18 years. Anne earned her masters degree in nursing from Drexel University in 2016. 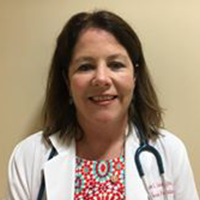 Anne is a board certified Pediatric Nurse Practitioner in Primary Care.